This detached villa with private pool is decorated with great care. There are three bedrooms each with air conditioning and two spacious bathrooms. In the living room there is air conditioning and television. The kitchen is fully equipped. Here you have everything you wish to have in a holiday home. 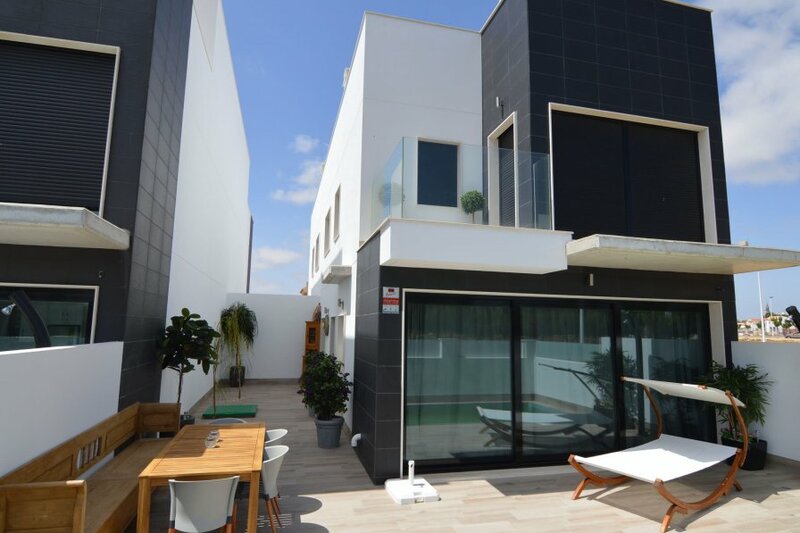 The roof terrace will allow you to enjoy the Spanish life, read a book while having a drink in the lounge set and enjoy your meal with friends and family at the roof terrace dinner table. San Pedro del Pinatar is a nice Spanish village with a beautiful beach and salt lake. In the salt lake, you can rub mud which is a blessing for the skin. There are plenty of restaurants where you can wine and dine and do not forget to discover the water sport facilities.